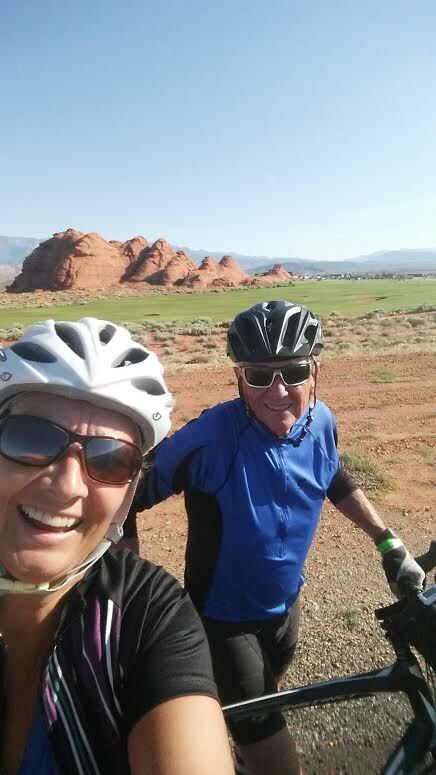 ST. GEORGE — Switchpoint Community Resource Center’s executive director Carol Hollowell and her husband are setting out on a cross-country bicycle ride Aug. 20 with the goal of raising awareness across the nation to break the cycle of homelessness. Carol and Bob Hollowell will ride representing the nonprofit organization Friends of Switchpoint. Friends supports the City of St. George’s facility that serves the homeless in numerous ways with the primary goal of getting them back on track. This year, the Hollowells wanted to accomplish something epic together, Carol Hollowell said. All of their children are grown and out of the home, she said, giving them the perfect opportunity to head out together. The Hollowells came up with the theme “breaking the cycle” to raise awareness of homelessness in America, and to help families, veterans and individuals break out of the homeless cycle. Their ride begins Aug. 20 from San Francisco and will end 3,897 miles later – 137 miles farther than originally planned, Carol Hollowell said Tuesday, as they extended their original destination from Virginia to the District of Columbia. “People think we are crazy,” Carol Hollowell said. The Hollowells will ride a tandem bicycle, on average traveling 100 miles per day, Carol Hollowell said, 40 days from coast-to-coast. In some areas where there are no towns, the Hollowells will have to camp. In others, Carol Hollowell said, they will stay at homeless shelters along the way, 19 of them. It is their intention, she said, to share with those shelters how Switchpoint is helping individuals get out of homelessness and succeed. With every push of the pedal, Carol and Bob Hollowell will press forward their message that the cycle of poverty can end. BreakingtheCycles.org will keep track of every stage of the journey as the Hollowells navigate the United States. The couple will also share their experiences on their Facebook page each day. If you would like to donate or sponsor the Hollowells’ cause visit BreakingtheCycles.org.